Pea Soup - Kosher In The Kitch! Pea Soup - Kosher In The Kitch! Peel and dice up the veggies as you like. I like to leave the onion whole, as well as the celery and the remaining vegetables I dice up small. Add spices such as salt, pepper, paprika, garlic & onion powder. Then pour in the water, boil and once boil let simmer for about an hour. If you want to make this fleishig, you can add meat as well. Thanks so much! I am going to try it tonight! 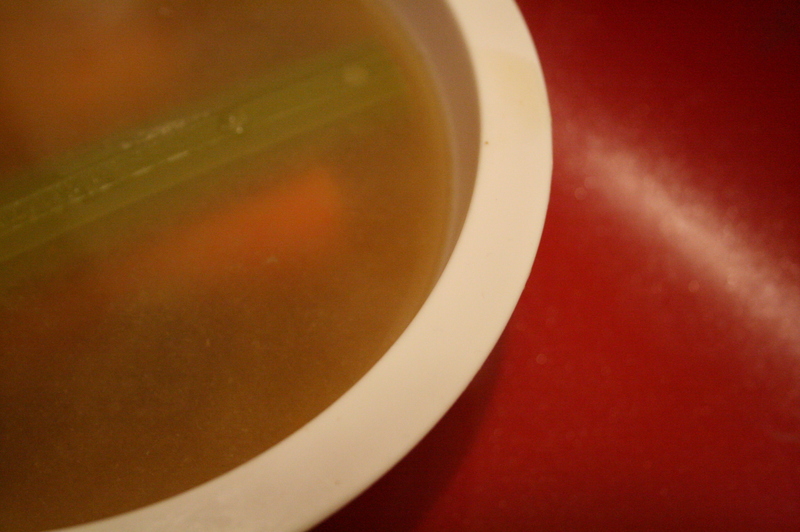 I had a bowl of this at my friend’s house and it was the best pea soup I’ve ever had. I meant to get the recipe of her but I forgot.Now I have it. Thanks for posting it. BTW, she had made it fleishig and it was perfect. Thanks, and for anyone that is having trouble chopping onions without the tears, here’s an incredibly easy tip – put them in the fridge for a few hours, then chop them straight away after taking them out! No more tears! I found some more onion soup recipes here if anyone wants to try some more variations. I am going to make your crispy baked orange chicken for dinner. How small should the chicken pieces be cut? It didn’t really say in your recipe. TIA! Cut them into chicken nuggets!